TFNation have proudly announced one of their highlight panels for TFNation 2019. Attendees of the convention will be able to get a rare look at pre-production and unreleased Transformers in a panel called “Something you haven’t seen before“. This panel, hosted by Paul “The Spacebridge” Hitchens and Rasmus “Ras” Hardiker, is set to feature a wide array of rare Transformers toys, spanning from pre-production samples to rare and unreleased figures, and variants. There’s also a tease that fans just might get a look at something from Takara’s own archive. The nature of what is being shown at the panel means that photography and recording will not be allowed – so this is going to be a one-off special occasion for those at TFNation alone to enjoy. Make sure you can participate in the fun by being at TFNation on 18 August 2019, when this panel will take place. TFNation 2018 will be taking place over the weekend of 16 – 18 August 2019 at the Hilton Birmingham Metropole in Birmingham in England. Guests include voice actions Gregg Berger (Generation 1 Grimlock, Jetfire, Long Haul and more), Peter Spellos (Robots in Disguise Sky-Byte) and further guests yet to be revealed. Check out the TFNation homepage for more information. 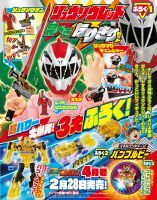 Japanese publication TV Magazine has posted an image of the cover of their April edition. As has been a tradition for TV Magazine, there is a Transformers exclusive which is going to be on offer with the April TV Magazine – a translucent yellow Bumblebee. This “Energon Charge” Bumblebee is a limited edition remold of the Bumblebee movie line Energon Igniters Speed Series VW Bumblebee – with the main difference between the two being the translucent yellow plastic. It’s a cool looking exclusive – check out the cover image showcasing the figure attached to this post. IDW have released their comic solicitations for April 2019. April 2019 brings the next two issues of the new ongoing Transformers series. Issue 3 is set to focus on Bumblebee’s plot thread, and also introduces Megatron assembling a security force. Meanwhile issue 4 focuses on the Prowl and Chromia plot thread and a missing scientist. Written by Brian Ruckley, the comic is set to feature art by Angel Hernandez and Ron Joseph, and covers by Nick Roche (issue 3, included in this post), Anna Malkova, Sara Pitre-Durocher (issue 4, included in this post), Umi Miyao, Jeffrey Veregge and Guido Guidi – the latter of whom will be providing artwork for a retailer incentive cover to issue 3 to celebrate the 35th anniversary of Transformers! We’ve got word that the next two Transformers Studio Series released have hit US retail. 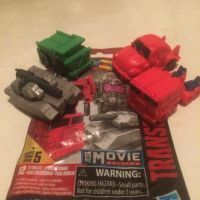 Voyager Wave 5 consists of a new mold Optimus Prime – who can combine with the upcoming Leader class Jetfire – along with a Voyager class Bonecrusher that fans have clamored for since 2007. The pair were sighted in a Meijer in Lexington, Kentucky. Happy hunting, one and all! We’ve got word that Machinima, who produced the Prime Wars Trilogy of Transformers shows in association with Hasbro, have set all episodes of the three series to private. In fact it goes much further, as it is reported that the entire Youtube Channel is now set to private – and with little warning to the creators who helped to make the content, according to Kotaku’s report. The report also notes that there was no public announcement or advance warning of the closure of the channel. This all adds up to the fact that Transformers fans can no longer enjoy the trio of Prime Wars Trilogy shows that Machinima produced – Combiner Wars, Titans Return, and Power of the Primes. While far from the best Transformers shows, the series featured several notable elements including the use of Overlord in an English series, the only animated appearance of Victorion and one of the best versions of Megatron. We’d also point out this is why Transformers shows need physical media releases. If online-only Transformers media disappears, then a part of the Transformers legacy is lost forever – and that means fans who come after us don’t get the chance to experience the Transformers franchise in the same way those of us who watched the shows might. Whether that is for better or worse given the perceived quality of the shows is up to the viewer. 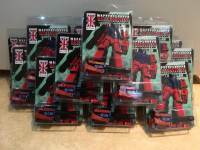 Via Tonton Reviews on Youtube, who has given us recent in-hand looks at the upcoming Transformers Siege Wave 2 Deluxe figures, we have an alleged image of the upcoming Siege Leader class Optimus Prime figure. 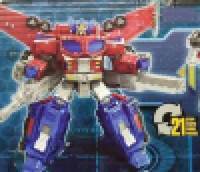 The image, while heavily pixelated, clearly shows a Transformers Cybertron homage version of Optimus Prime, complete with the chest windows, wings, and heavy cannons beneath each arm. Initially you’d be forgiven for thinking this might be a photoshop of the Cybertron toy using the pixelation as a cover – but the legs and waist of this toy do not match the Cybertron toy, and in fact look quite similar to Siege Ultra Magnus who this toy is rumored to be a remold of. What do you make of this potential new Leader class release? Could it be genuine? Will we see it at the US Toy Fair next month? Will we get a Weaponizer Wingsaber to combine with this one? Watch this space for more updates. Swedish convention RetCon will be returning in September 2019 for their third convention – and they’ve got an exclusive figure from Mastershooter for attendees. Mastershooter’s Mega-Gun – an unofficial Generation 1 Megatron whose central conceit was turning into a 5mm compatible blaster for larger Transformers – is getting a redeco into the cheekily named Ironsmeg, the Devil Knight. This figure is a limited run of 30 and will only be available at the convention. It is also a great little homage to the first ever UK comic strip Man of Iron, which introduced several ideas to the Transformers storyline including lost Cybertronians separated from the main groups for thousands of years and Transformers whose prescience on Earth had passed into local legend. Man of Iron was a significant enough storyline that it was later reprinted in the US comics – and dare we say that some of its story elements concerning a Transformer in medieval Britain mistaken by locals as a knight just might have influenced a Michael Bay movie? RetCon 2019 will be held in Borås, Sweden, on 28 September 2019. Guests include the Transformers writer who got his start on the UK comics, Simon Furman, and Transformers Lost Light artist Jack Lawrence. Be sure to check out the RetCon website for more information, and follow RetCon on Facebook for further updates.